"No one tires in giving magnificent banquets; there are those done with great ceremony and circumscription, where guests are selected according to [social] condition. The wives of Officers and their Husbands are invited one day, Counselors another, and the Bourgeoisie maintains its own." Although eighteen tin plates might have been enough for Council member Charles-Denis de Vitray in 1703, armorial silver and other engraved objects announced both a person's status and material wealth. 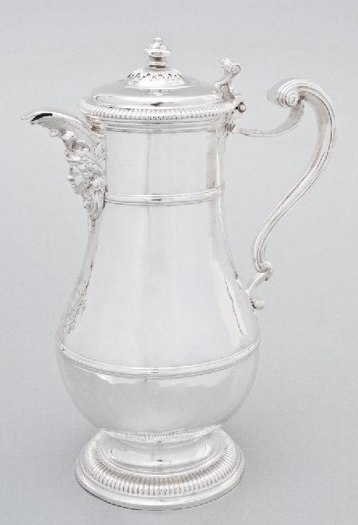 Ordered from the Parisian silversmith Jean-Jacques Delaroche about 1740, a silver plate from what was undoubtedly a larger service bears the arms of the Pécaudy de Contrecœur and Boucher de Boucherville families. 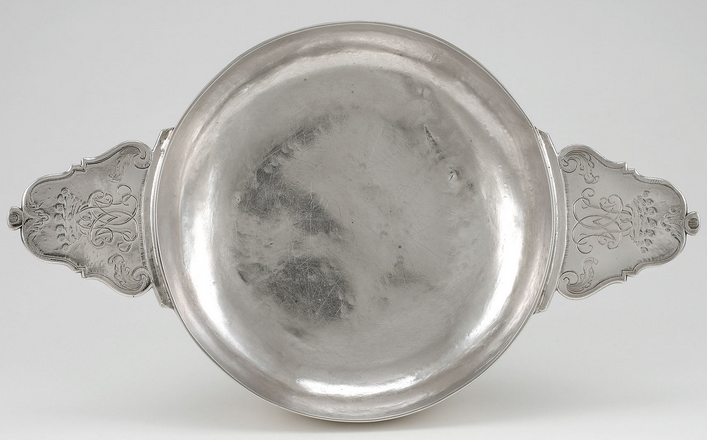 Part of the collection of the National Gallery of Canada, the plate also bears the monogram of the Boucher de La Perrière Jean-Jacques Delaroche. 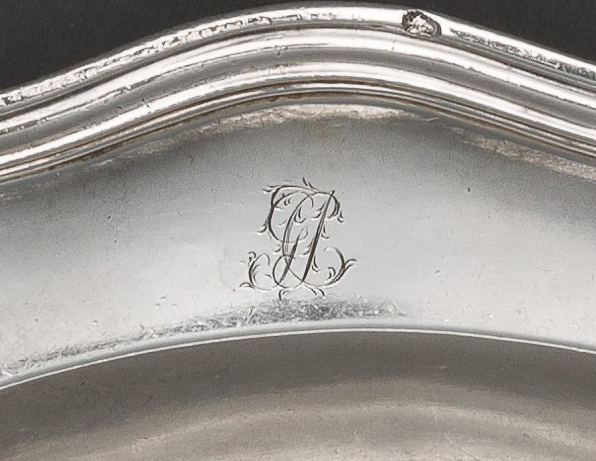 It is possible that the monogram was added at a later date, perhaps by a colonial silversmith. In addition to faïence and porcelain serving wares, elite French colonial hosts set their tables with a variety of metal utensils and objects designed for food service. While most of the population made due with a combination of knife, spoon, and fingers, upper class consumers acquired sets of metal cutlery and vessels imported from France or purchased from local silversmiths working in urban centers such as Montréal and Québec. 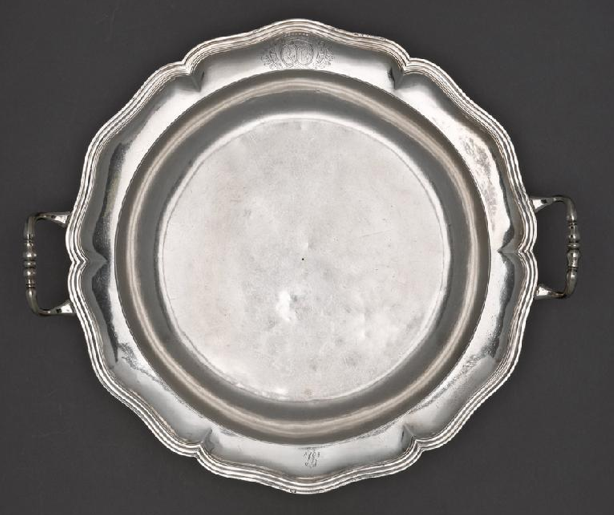 Along with the symbolic ritual and social etiquette that were essential components of elite dining, an increasingly elaborate variety of metal items, specifically silver plates, platters, ewers, and others served as props that convey one's rank and status. Utensils could also be engraving with their owner's initials, monogram, or crest. 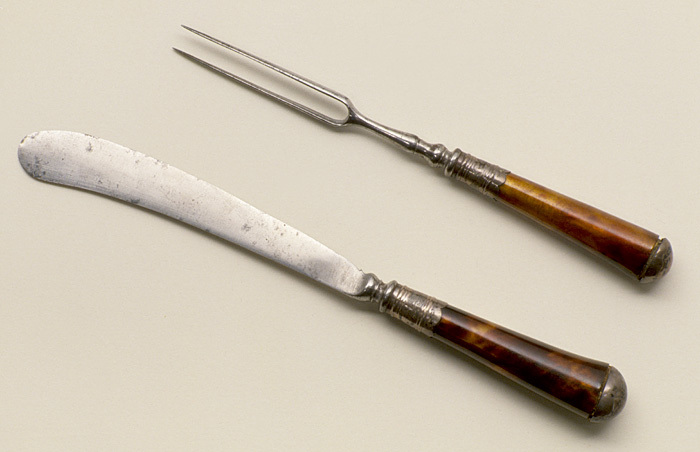 Separated by twenty years, the two spoons below were used to consume ragoût, or stew. The first spoon, made in the 1730s by Québec silversmith Michel Cotton, was also owned by a member of the Boucher de Boucherville family. 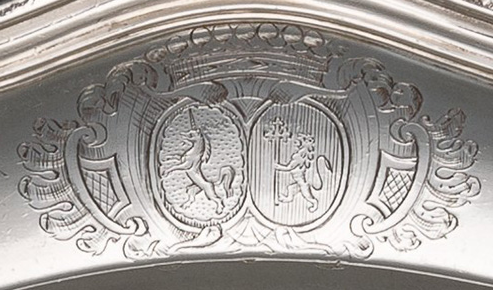 It bears both that family's arms and the monogram of the Boucher de La Perrière family on the underside of the handle. The second spoon dates to circa 1755 and was ordered from the Parisian silversmith Jacques Besnier by a member of the Chaussegros de Léry family. A military engineer, Gaspard-Joseph Chaussegros de Léry designed major public buildings in Québec, including the château Saint-Louis, the intendant's palace, and the cathedral of Notre-Dame; it is possible that he or his son, also Gaspard-Joseph, ordered the spoon. Royal officials possessed some of the most impressive silver services in New France. As described by Élisabeth Bégon de La Cour, the widow of the late governor of Trois-Rivières, to her son-in-law in 1748, the gentlemen of Québec were “transfixed by the fine furniture of M.[onsieur] the intendant and his beautiful silver." Governor-general Philippe de Rigaud, marquis de Vaudreuil, owned an impressive silver service when he died in 1725. It included tureens, dishes, platters, plates, sugar bowls, coffee spoons, salt cellars, a chafing dish, two coffeepots, saucers, two and a half-dozen forks, two and a half-dozen knives, and various other utensils including different types of spoons for ragoûts and coffee. The late marquis also owned a nine-piece silver-plated fruit service and another with twelve pieces and an ornamental platter. Silver confiscated from the estate of debt-ridden intendant Claude-Thomas Dupuy in 1728 was even more splendid and specialized. In addition to numerous silver-gilt knives and forks, Dupuy's silver included cruet stands, numerous candlesticks, pitchers, sugar bowls, and an abundance of spoons and platters brought from Paris in 1726. Given the high value of precious metals like silver and gold, silver pieces from New France are rare survivors. Silver utensils were frequently melted down and recast into more fashionable forms or used as currency. Study of probate records reveals the extent of silver ownership in wealthy households beyond the governor-general and intendant. Charlotte de Vitray claimed a number of silver items after her husband's death in 1703. A member of the Sovereign Council, Charles-Denis de Vitray's estate included a silver écuelle, two candlesticks, two cups, six spoons, six forks, and a smaller spoon and fork stored in an armoire in the chambre. 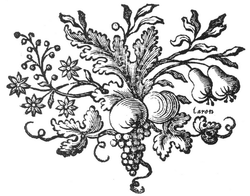 Jean Latour, a merchant in Montréal, owned six silver forks and six silver knives in 1749.